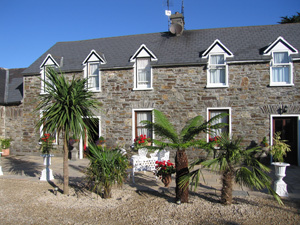 Courtmacsherry Sea Angling Centre is one of Irelands Premier Angling Centres based in the picturesque village of Courtmacsherry located only 30miles from Cork International Airport on the West Cork coast between the Old head of Kinsale and the Seven Heads peninsula. Our purpose built Sea angling and selfdrive boats offer the sea angler the ultimate in safety and comfort. Sea Angling in Courtmacsherry produces good results both for the offshore charter angler,the selfdrive angler for inshore fishing or the wreck enthusiast. The Irish Specimen commitee certify all the record fish caught around the Irish coast and Courtmacsherry sea angling account for many of these records yearly.We can offer sea angling packages with en suite accomadation in our 18th centuary farmhouse set in 30 acres of woodland beside the sea,Hotel or selfcatering cottages and appartments. Whale and Dolphin watching trips can be arranged or 2 hour scenic or fishing trips.The village of Courtmacsherry has many fine pubs and restaurants with live entertainment most nights.